The first round of the Belcar series, at Spa almost two weeks ago, resulted in two new chapters in the Belcar book of records – writes Joost Custers. Anthony Kumpen set an astonishing 2:15.205 in qualifying with the Corvette C5-R of GLPK Carsport. During the race, his fastest lap was 2:17.916. Anthony Kumpen now holds two more Belcar records. If we compare the times set by Kumpen 10 days ago with the times set during the Spa 24 hours last year, we see that the green Corvette would have been on the front row of the FIA GT round. Kumpen’s 2.15.205 is about 4/10s better than his own fastest qualifying lap in 2005. Only the Vitaphone Maserati MC12 of Bartels / Scheider / van de Poele was faster – by three tenths. The switch from Pirelli to Michelin by GLPK apparently caused no major problems. As insiders predicted, the new layout of Zolder is likely to be faster than the old one, so records should be beaten there as well – at the next Belcar event, in four weeks’ time. Marc Goossens holds both records at the moment. The SRT-Corvette also broke its Spa records ten days ago. Jeroen Bleekemolen was 7/10s of a second faster than Marc Goossens last year. 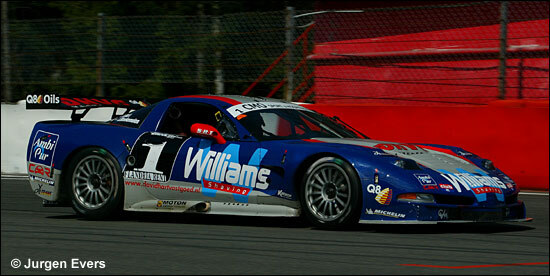 Notice that Marc Goossens drove the Corvette with chassis number 007 and Jeroen Bleekmolen the (updated) 005. These records also have an influence on the Belcar standings. Because the fastest qualifying and race time are also rewarded with two bonus points for the drivers’ challenge, Anthony Kumpen is the initial leader in this category.